Pony Creek Ranch can only be described as magic! 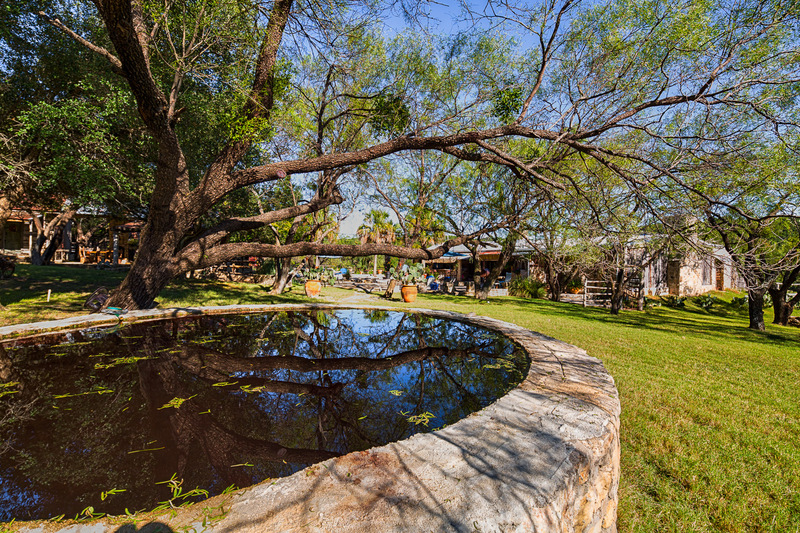 This 460 acre property is the “heart of the melon” of a larger ranch that has been in the same family for four decades. 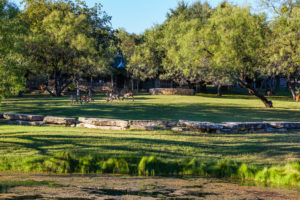 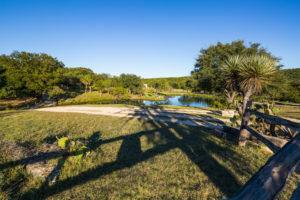 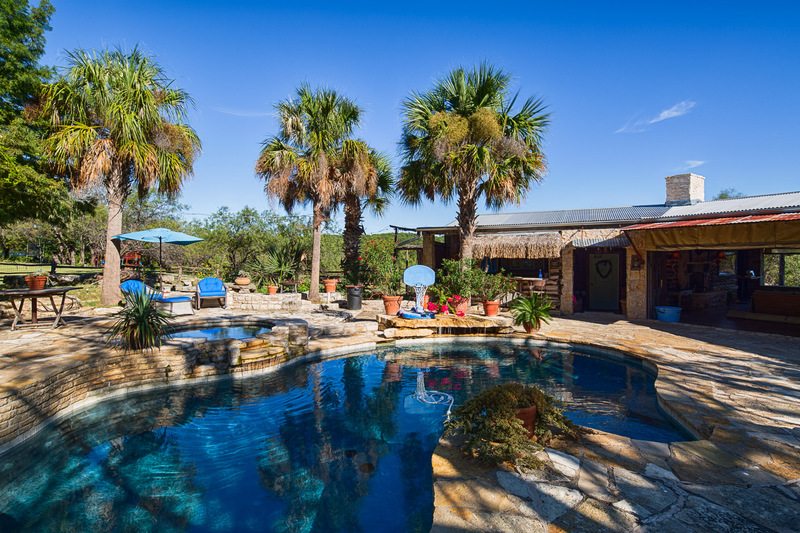 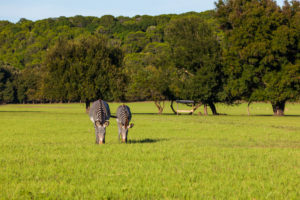 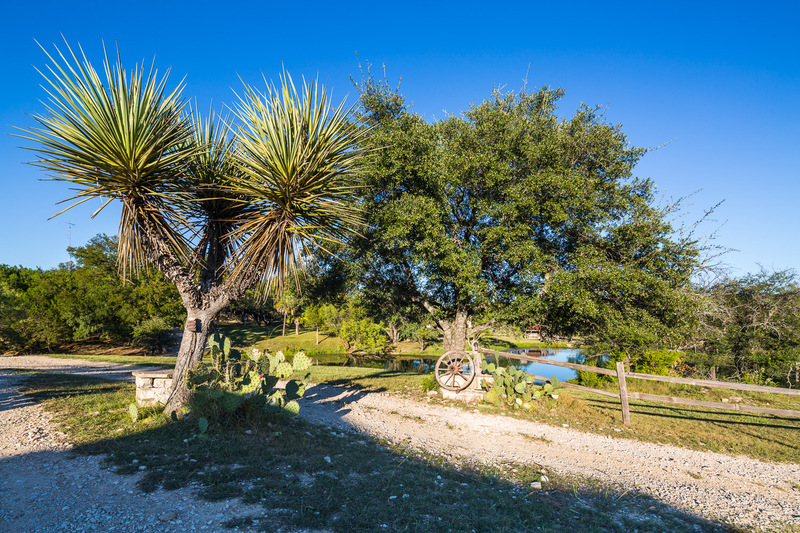 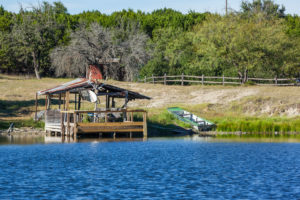 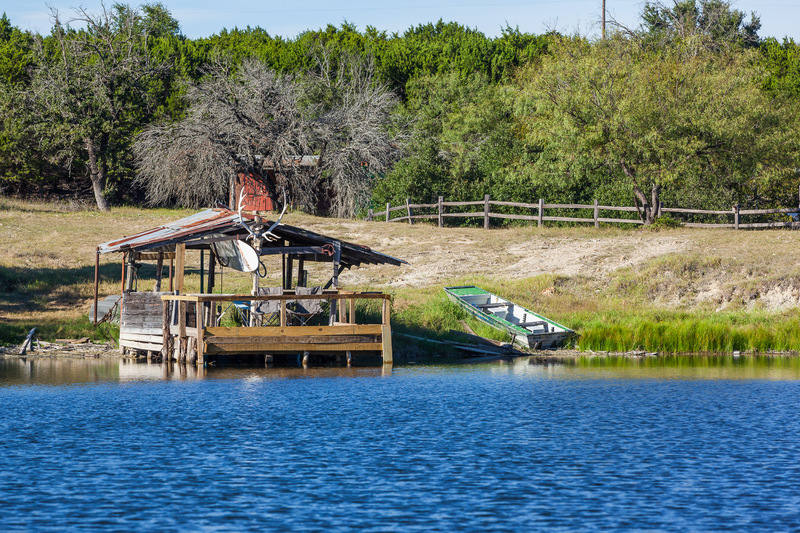 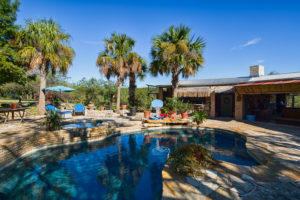 Just outside Glen Rose, and an easy drive from the DFW Metroplex, with frontage on two named creeks, a residential compound overlooking two lakes, surrounded by large hills and coastal Bermuda pastureland, this scenic property is truly one of a kind and must be seen to fully appreciate. 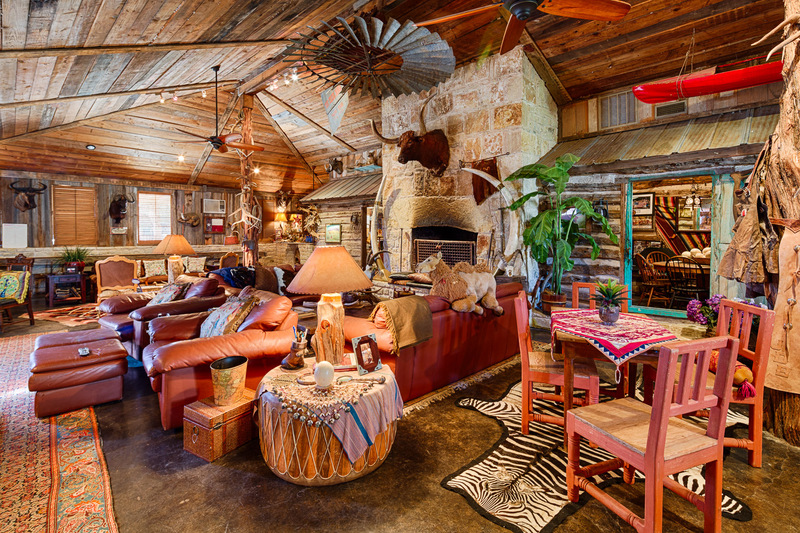 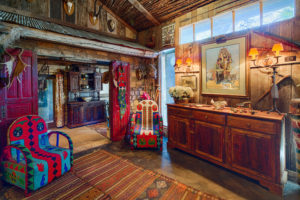 The property lies just outside Glen Rose, an hour southwest of Fort Worth and 1 ½ hours southwest of Dallas via Highway 67. 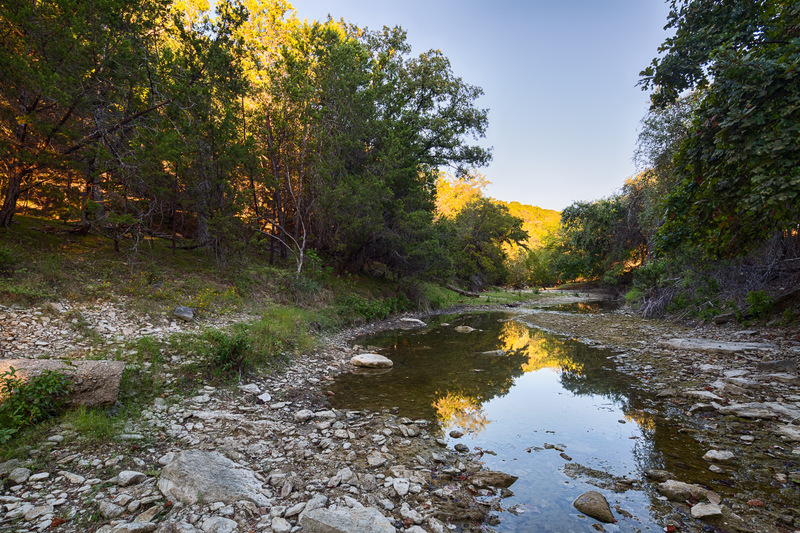 It is off a discreet county road, just over the Somervell county line in Erath County. 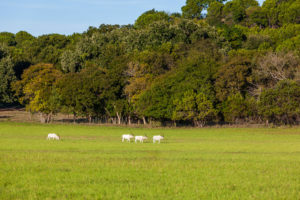 Enjoy the diversity of a property normally enjoyed on much, much larger ranches. 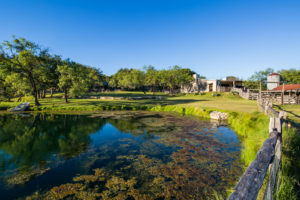 Incredible long views from the hill tops, plenty of trees and habitat for the numerous animals that call Pony Creek home, fertile bottom land with numerous lush fields with coastal Bermuda and wheat, lakes and creeks, it has it all. 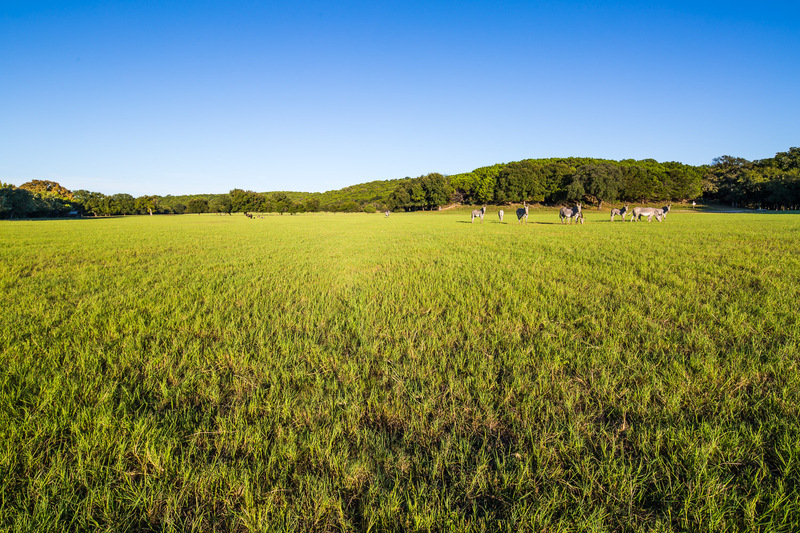 The property is fenced and cross fenced for rotating livestock. 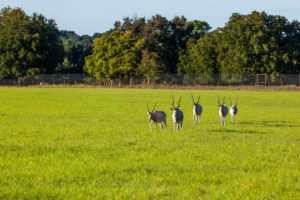 It has a perimeter high fence for breeding numerous animals. 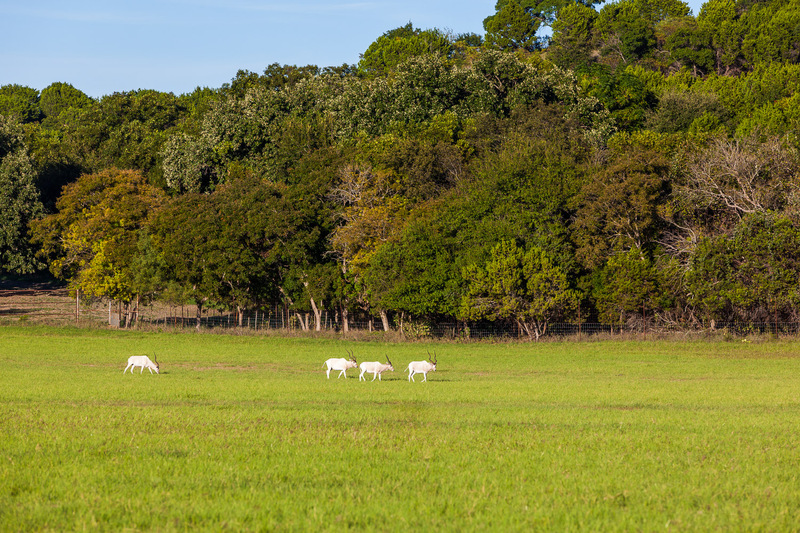 Soils vary but include Brackett-Purves complex, Frio clay loam, Bosque loam, Purves-Dugout and Malaterre. 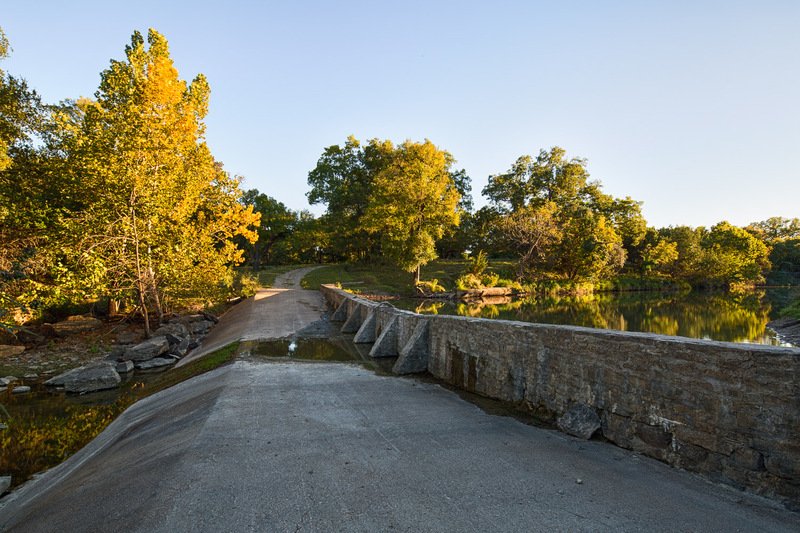 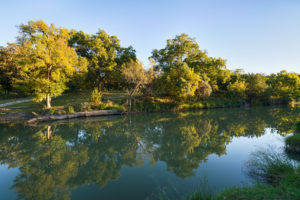 There are two named creeks, Pony Creek and Sycamore Creek on the property, with 2 ½ miles of frontage on both sides of Pony Creek. 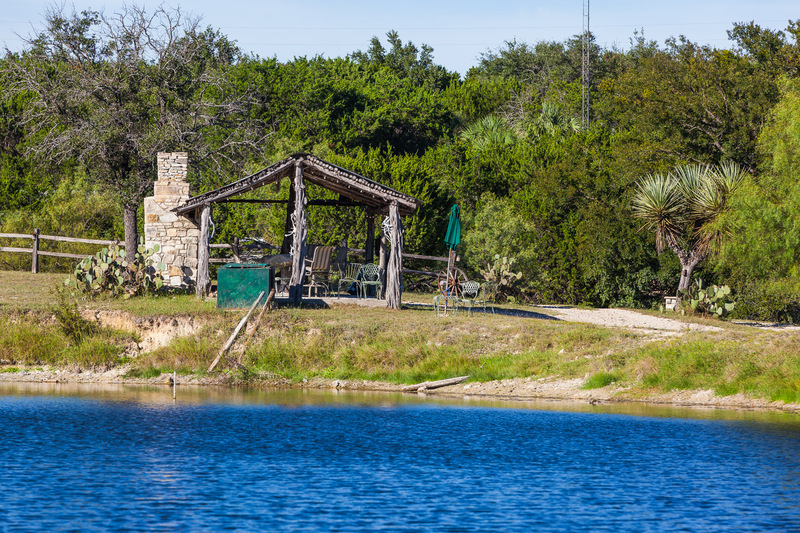 The compound overlooks two, 2-3 acre lakes, stocked with plenty of fish. There is a waterfall on the property that can be enjoyed from a stone sitting area. 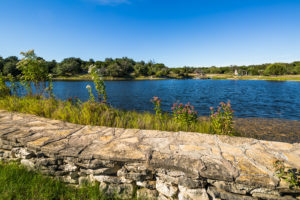 Adjacent to another low water dam is the swimming hole utilized by the family for years before the addition of a legitimate swimming pool. 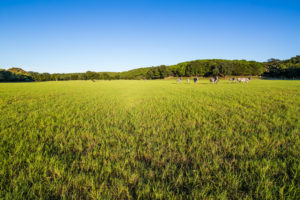 However, it is still used on warm summer days. 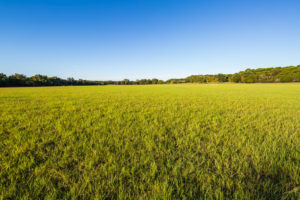 The annual rainfall for this area is approximately 35 inches. 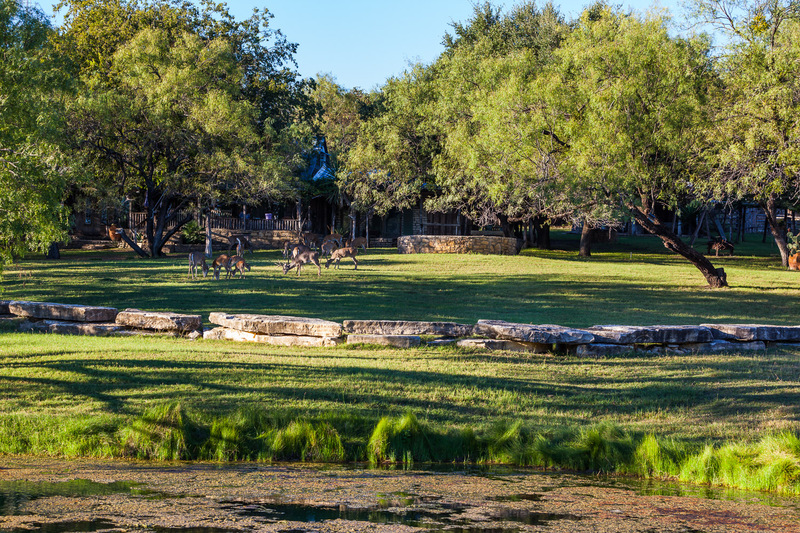 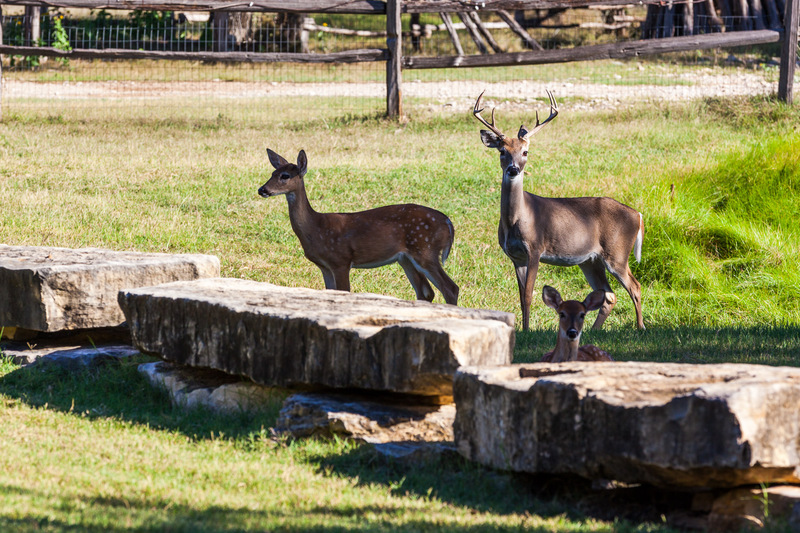 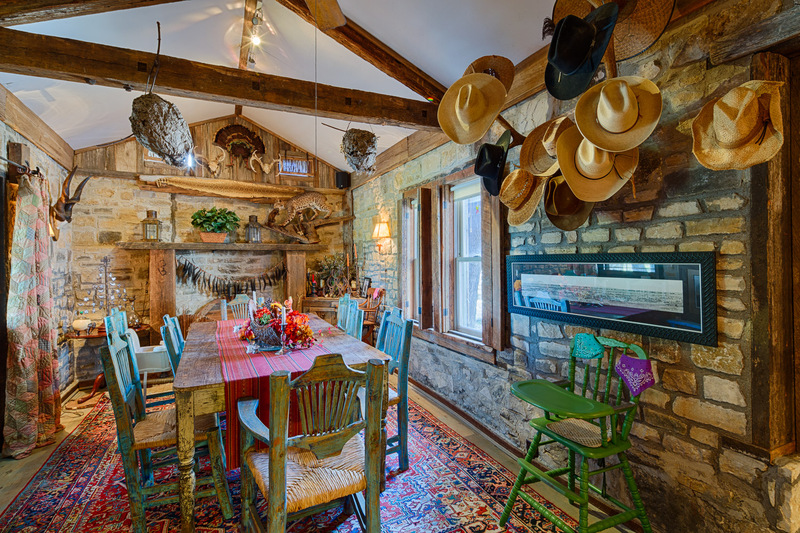 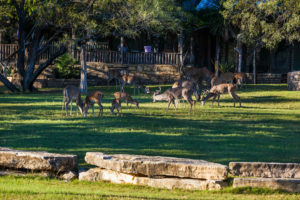 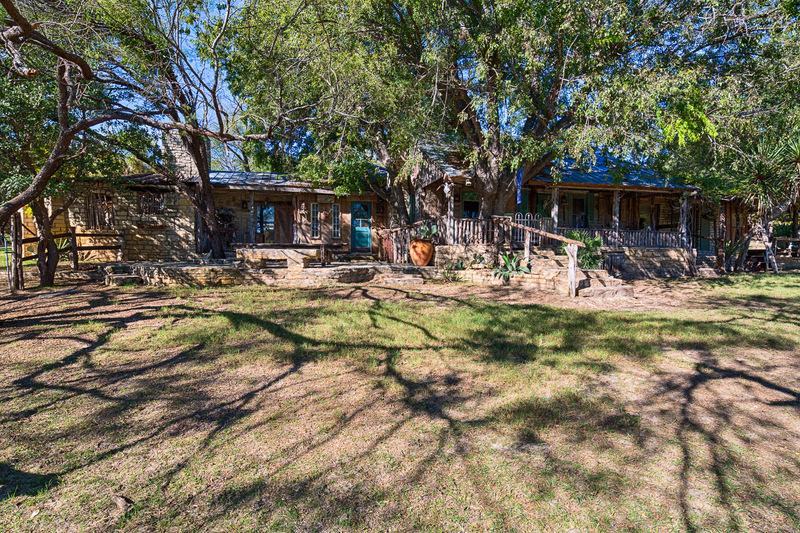 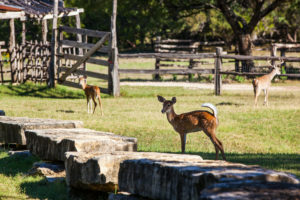 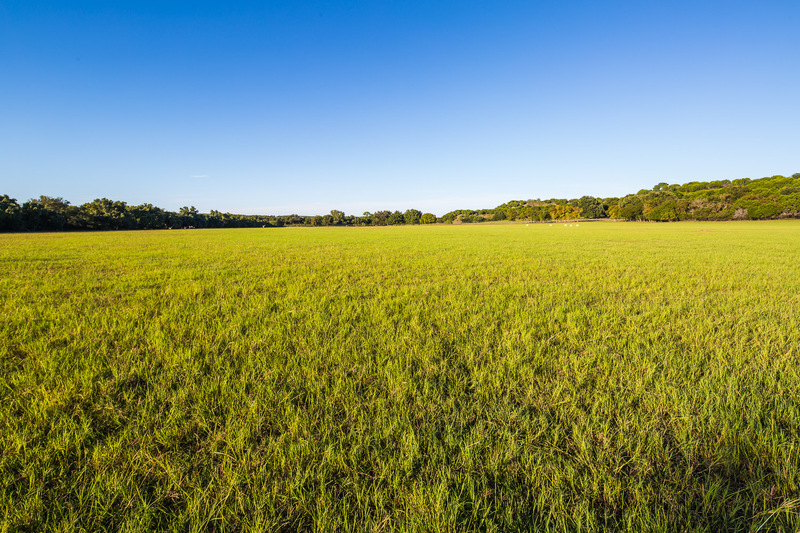 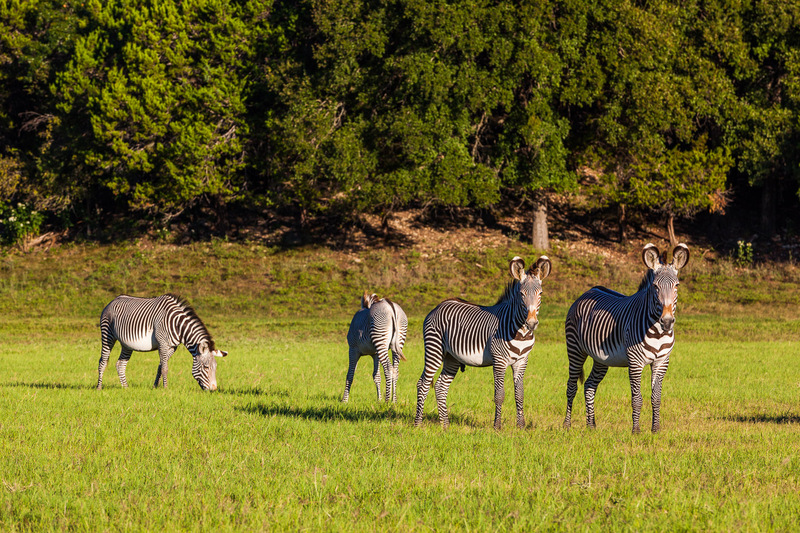 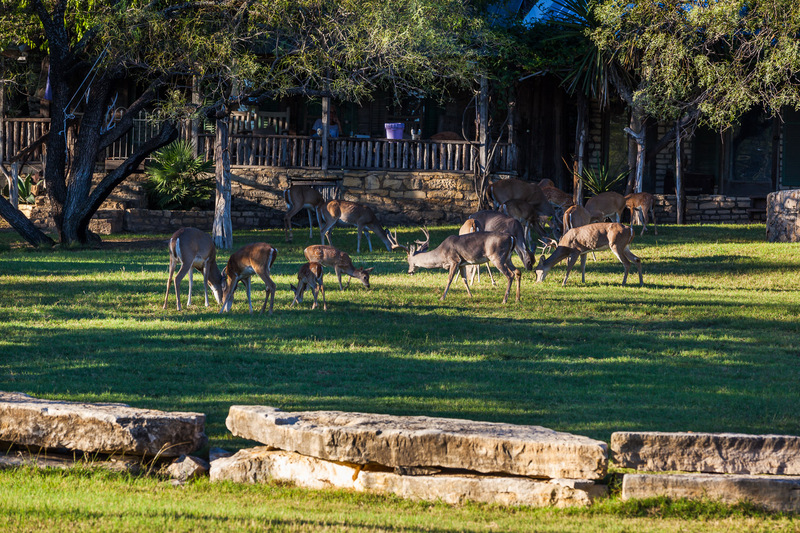 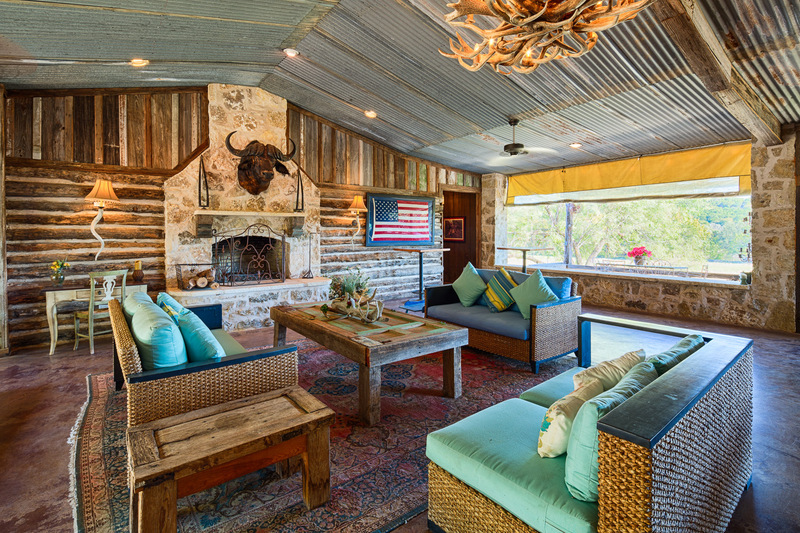 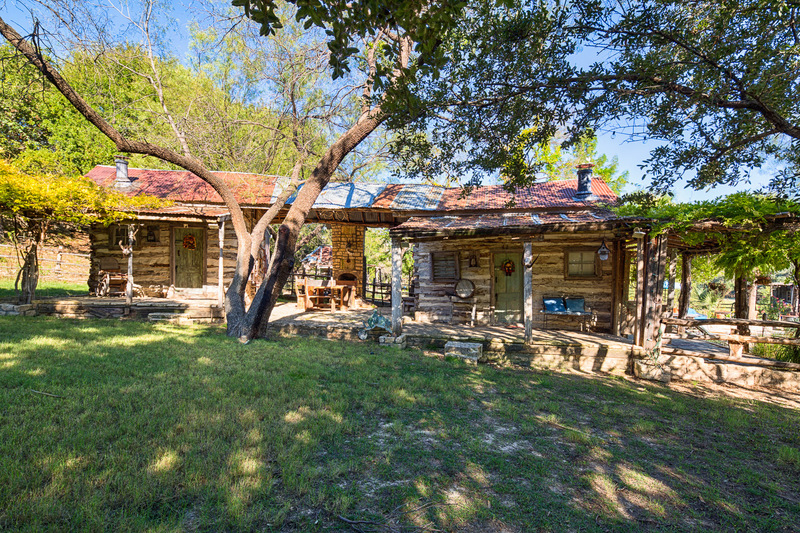 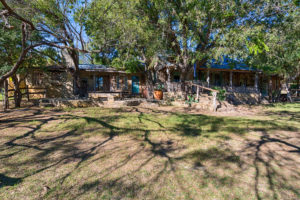 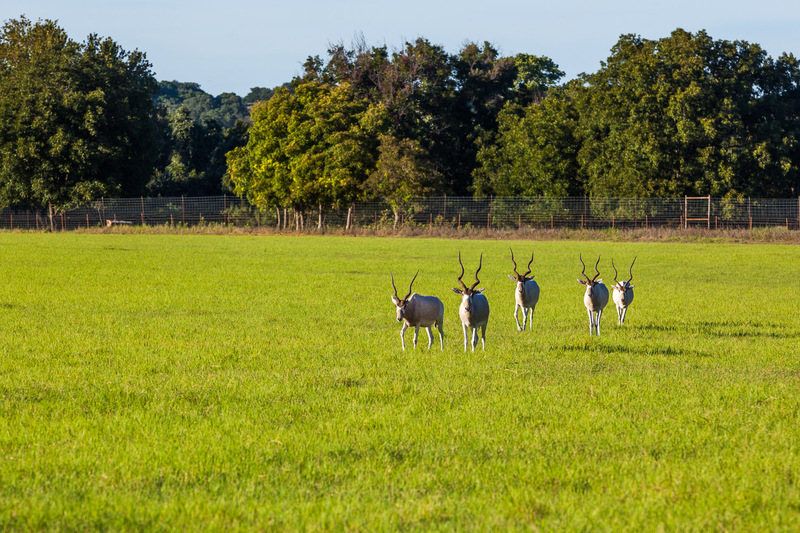 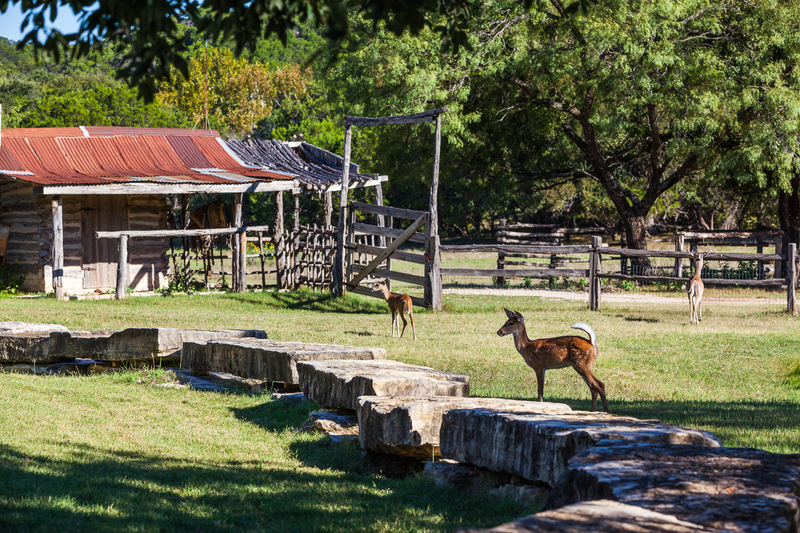 This property lies in a small valley with incredibly diverse terrain ranging from the iconic Texas Hill country feel to bottom land perfect for cultivated pastures and food plots. 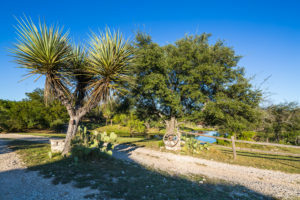 There is approximately 200 feet of elevation changes on the ranch with the highest point of elevation being the eastern boundary at 1,030 feet above sea level and the lowest being 830 feet along the banks of Pony Creek. 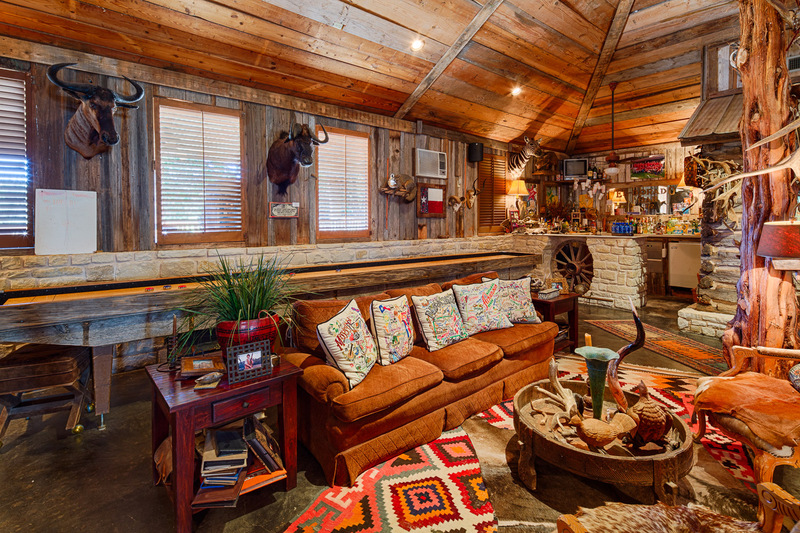 The ranch has a long list of improvements, but the center piece is a large custom lodge perfect for entertaining small or large groups and encompasses three 150 year old log cabins. There are numerous outdoor areas around the house and compound including a private patio with stone fireplace, and several porches overlooking the irrigated grounds, two lakes and surrounding valley. 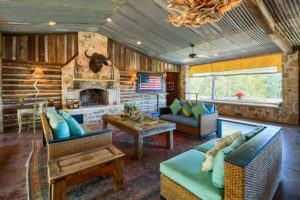 Adjacent to the lodge are four restored historic log cabins, swimming pool and spa and large pavilion complete with two bars, two fireplaces and full kitchen, perfect for hosting any event. 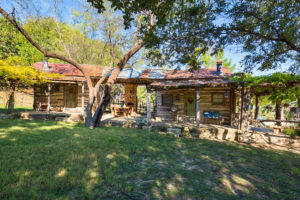 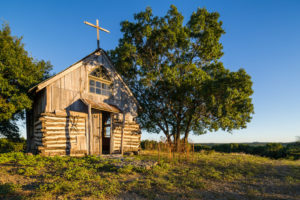 There is a 150 year old log chapel on the highest hilltop overlooking the valley with 20-30 mile views, as well as other log cabins set up around the property for quiet respites. 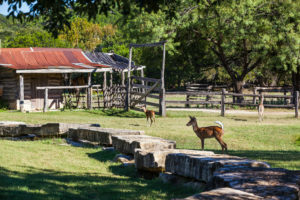 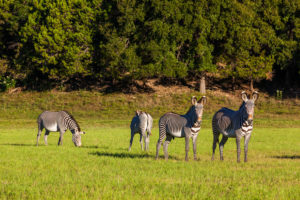 There is a second compound not far from the main lodge comprised of three historic log cabins and set up for the kids and grandchildren to spend the night and enjoy their own private “Camp Pony Creek during the summer. A manager’s house is located near the second entrance and near the numerous equipment barns. 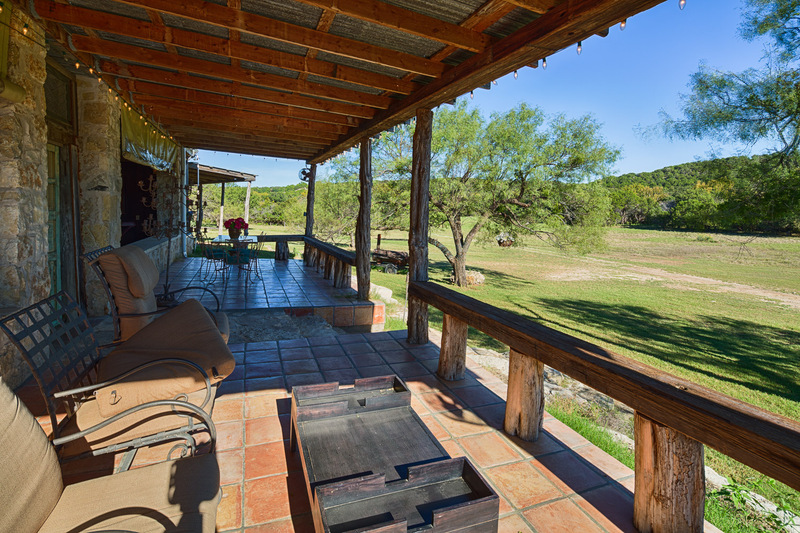 A gated entrance welcomes guests from the county road leading guests along all-weather roads, over a metal bridge and over three concrete low water dams as well as numerous trails and ranch roads, allow you to enjoy the entire ranch.